A few months back, we had a few requests to design the West Point Military Academy campus which sits on high ground overlooking the Hudson River in West Point, New York. The West Point Campus Needlepoint Belt was really fun, it features an American flag, Mitchie Stadium, the Cadet Chapel, Washington Hall, George Washington Statue, Jefferson Hall Library, Battle Monument overlooking Trophy Point on the Hudson, and a Bald Eagle. We even have worked on a customized version that featuers a new visitors center that is being built! 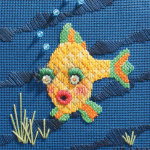 We love helping design custom needlepoint kits for our customers! 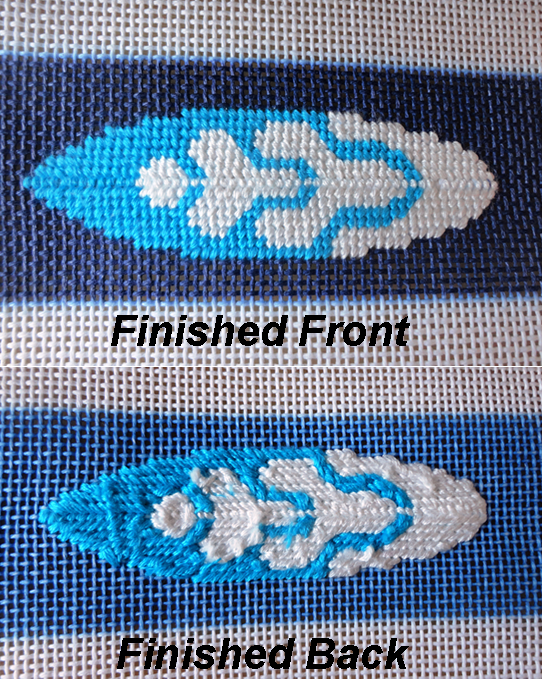 This week’s blog post features some custom wedding needlepoint designs that we’ve done recently. Below are four canvases for pillows, and a cummberbund needlepoint canvas. We’ve also done a lot of belt canvases recently. We post a lot of our customer reviews on our blog, and if you are interested in reading some we’ve recently recieved, see the botttom of this post. We love to hear from you and help make your ideas come to reality. 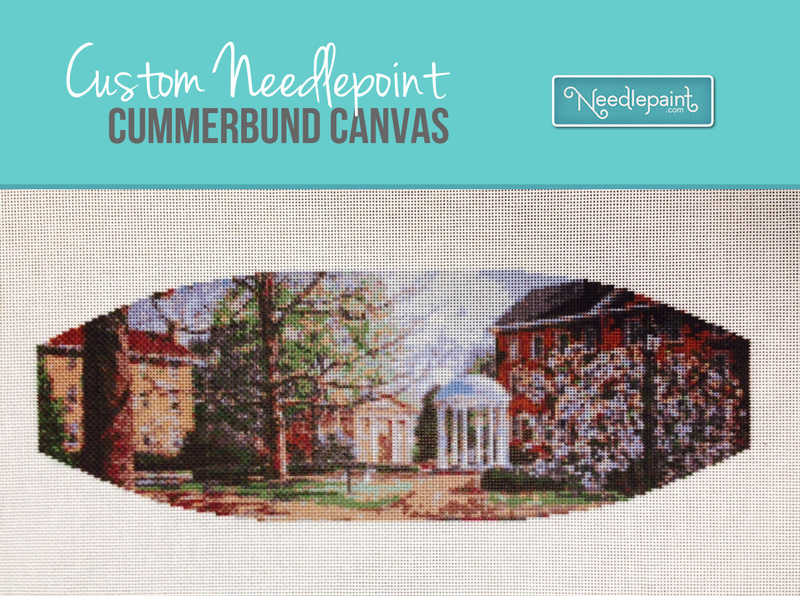 Next is a custom needlepoint cummerbund canvas we did featuring the old well at UNC. Last are two foxes taken from a wedding invitation. We helped create these desgins from a sketch! and onto some older feedback I just found that was never posted. I was almost there with my Four Hour Needlepoint Ornament but this is one step further. A belt would be my test piece. Many of our Needlepoint belt designs are ideal for this technique. The backgrounds are solid and the images, like the surfboards and sailboats, are colorful and sharp. Stitching these two belts went as fast as riding the waves. 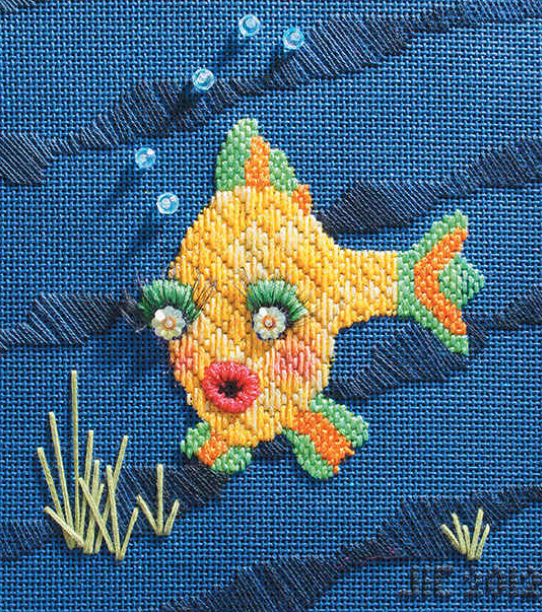 The only thing one needs to pay attention to is keeping on the thread ends within the stitched areas because the background will be unstitched canvas through which the thread ends will be visible. Looking closely at the stitched surfboard, you can see that I also look the liberty of slanting the continental in two different direction. The top slants to the left and the bottom to the right, while in the center I used a straight stitch over one canvas thread. (Note: a straight stitch over one thread needs to be worked very loosely, and only works here because it was worked after the top and bottom of the surfboard was completed.) Working the top and bottom of the surfboard with two different slants has the advantage of giving smooth edges to the circle and rounded edges of the design. 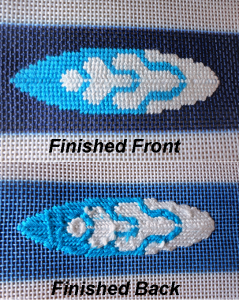 I used this technique on some of the surfboards and on part of of the sailboats. I was please with my finished canvases!